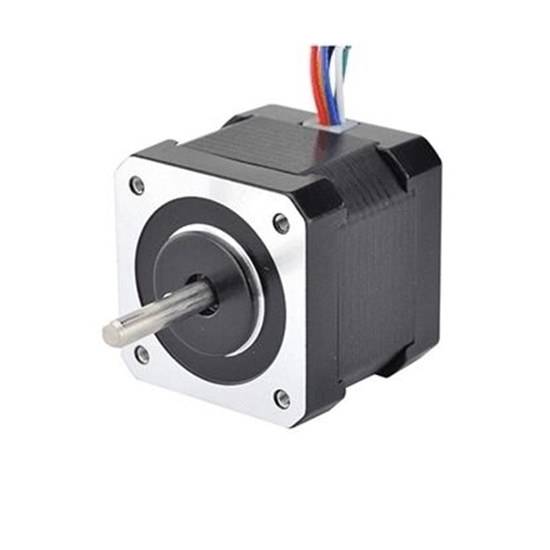 Nema 17 2 phase, 1.8 degree per step stepper motor with excellent quality and reasonable price, sell by manufacturer directly. 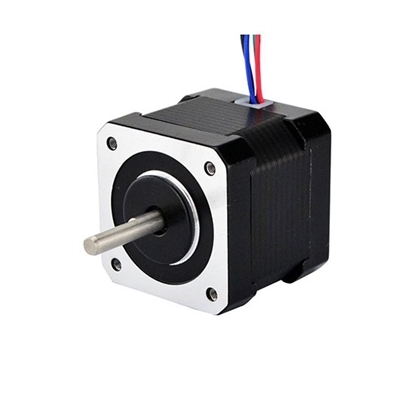 High quality and favorable price Nema 17 4V, 0.95A, 2 phase 6 wires stepper motor which has 1.8 degree per step for smooth motion and a nice holding torque, direct sale by manufacturer. 12V 0.4A, 2 phase 6 wires Nema 17 stepper motor, with 1.8 deg. step angle (200 steps/revolution), is perfect for small robotics and automation projects. Cheap price and direct sale by manufacturer. Tips: Why stepper motor cannot start at higher velocity and accompanying whistler? The stepper motor can run normally at low velocity, and cannot start at certain higher velocity and accompanying whistler. There is a technical parameter for the stepper motor: no-load start frequency. That is, the stepper motor can normally start pulse frequency under no-load. 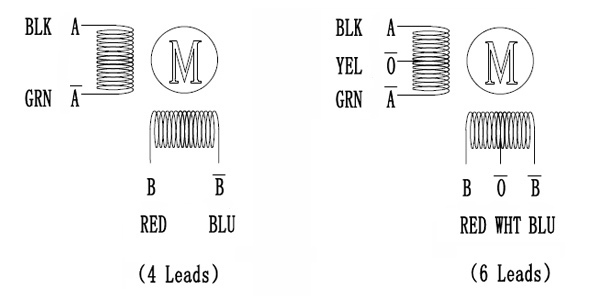 If the pulse frequency is higher than the value, the motor cannot normally start, the stalling or self-locking may occur. Under the circumstance of load, the start frequency shall be lower. The pulse frequency should have acceleration so that the motor rotates at high velocity. That is, the start frequency is low and then rises to the anticipated high frequency according to the acceleration (the motor runs at from low velocity to the higher one). Except foregoing reasons, the reason for causing whistler may also be for big load. If the motor rotates at high velocity, the output torque of the motor will decreases. However, if the load requirement cannot be satisfied, stalling of motor will occur and whistler will be changed along with the change in frequency, to which the solution is to reduce the rotational velocity or replace for the motor with larger torque. Besides, after the motor rotates at high velocity and then stops, the transient whistler will be caused, which is resulted from chopping of phase current. It is only necessary to set the automatic semi-flow on the stepper driver board as effective.